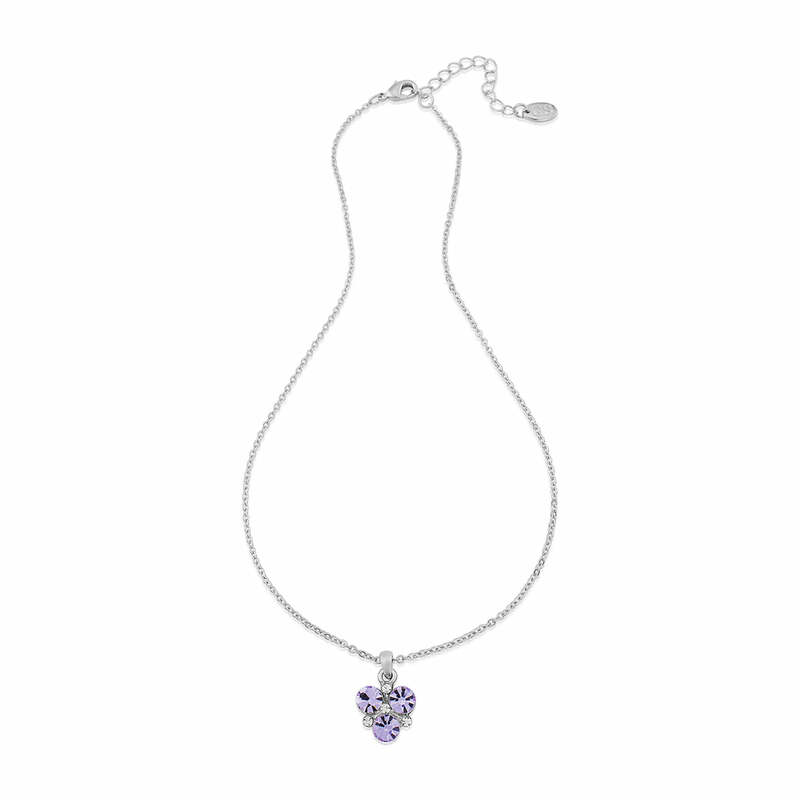 Mesmerisingly beautiful, Allure of Lavender jewellery set combines 1950s retro glamour with pretty lavender crystals. Choose from stud earrings, dainty pendant and cluster bracelet for feminine sparkle. 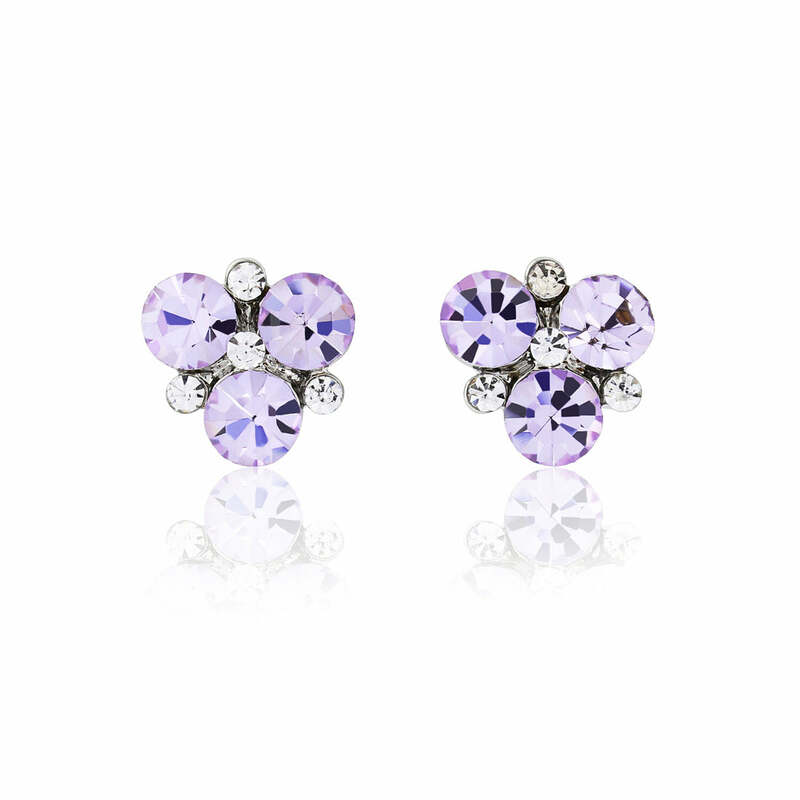 Captivatingly beautiful, our Allure of Lavender Jewellery Set blends retro 50s style with a sublime modern twist. Consisting of a pendant, bracelet and earrings, this coordinating trio adds a pop of pastel perfection for every occasion. 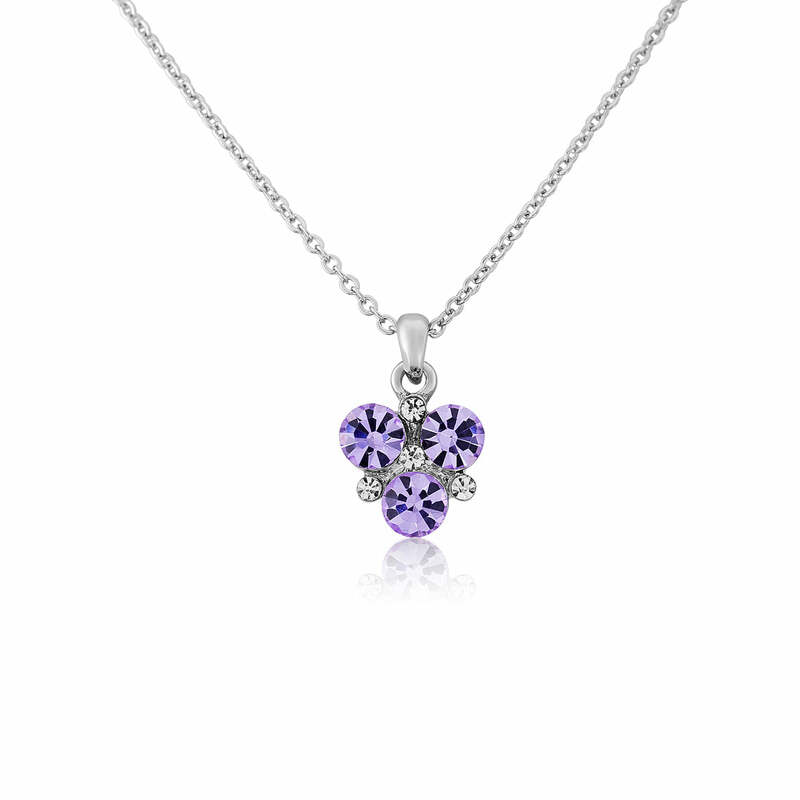 A stunning bridesmaid jewellery set to complement a wedding colour scheme in any shade of purple, your best girls will look fabulous on your special day and beyond. 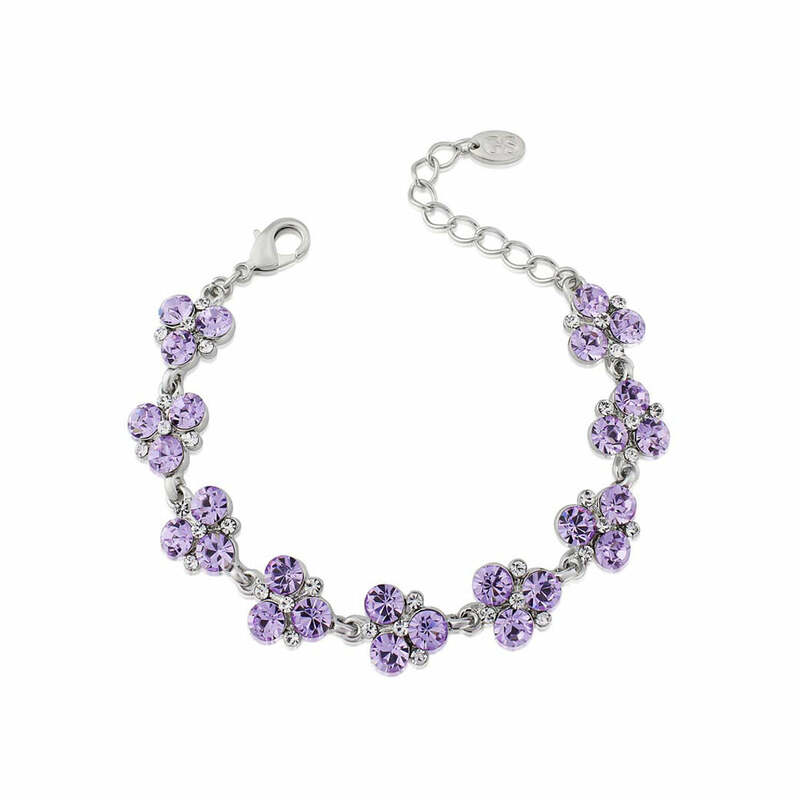 Brides who adore accessories in a pretty hue, this three piece would enhance a lavender bouquet for a breathtaking look. 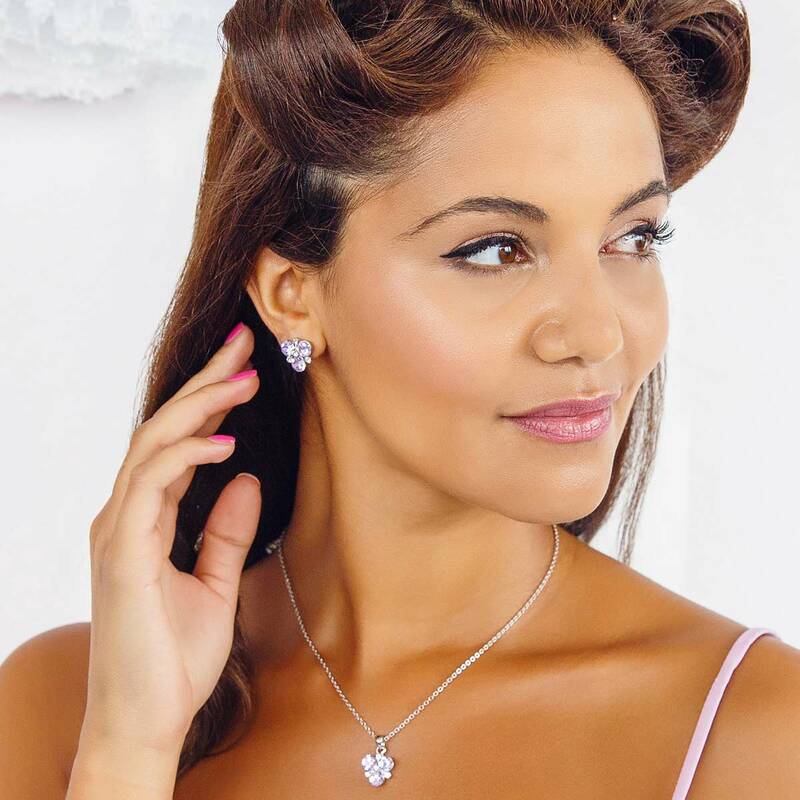 The perfect finishing touch to every event that calls for a pretty hint of colour and charm, wear Allure of Lavender to the races with a 1950s vintage style dress or add the wow factor to a luxuriously glamourous slinky gown for a glitzy party.